First impression: Hmmm, it doesn't look very enticing. Second impression: Hey, it really smells like dessert! Glycerin, Sucrose, Cocoa Powder, Sesame Seed Oil*, Coconut Oil*, Leuconostoc/Radish Root Ferment Filtrate, Cetearyl Olivate, Sorbitan Olivate, Marula Seed Oil*, Manketti Seed Oil, Vanilla Seed Extract, Geranium Leaf Oil*, Tocopherol, Vanilla Seed Oil, Ylang Ylang Flower Oil*. It's funny I can't detect the unmistakable smell of sesame seed oil. 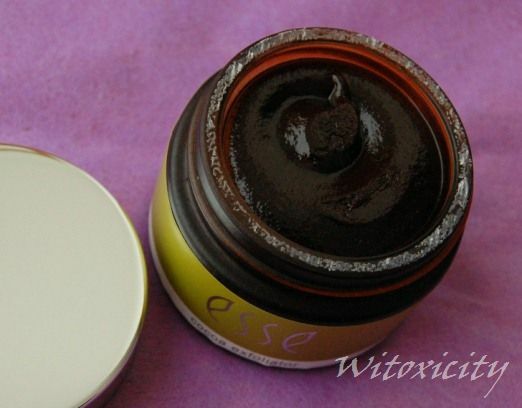 This 50ml jar of Esse Organic Skincare Cocoa Exfoliator was one of the items kindly sent to me by Esse Netherlands to try a few months back. I've been using this delectable dessert facial exfoliator for three months, sometimes once a week, sometimes twice. As with other Esse products, this is housed in a recyclable amber glass jar. Retail price: €21.80. Esse products are made in South Africa, the home country of Esse Organic Skincare. It's best to keep water out of the paste to preserve its integrity, hence the accompanying spatula. I use it after cleansing the face. The instruction is to soften a generous scoop of the exfoliator with a few drops of water and exfoliate in gentle circular motions. The grains are quite fine but offering just the right 'scrub' factor. They feel like fine grains of sugar but as you would have read above, they're fine cocoa particles. It took me a couple of uses to figure out just the right amount of water to add to the right amount of paste. 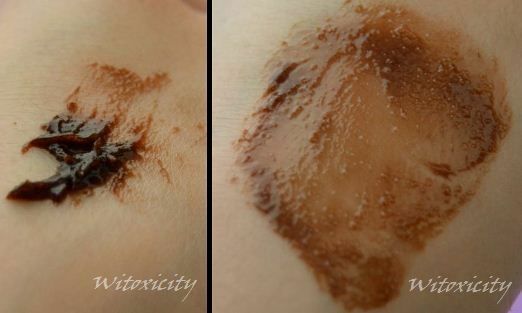 If it's too dry, it gets very difficult to spread the paste on the face and the cocoa particles feel too harsh on the skin. If it's too wet, the exfoliator becomes runny and the cocoa particles dissolve too soon before I can do any proper scrubbing. Once the right balance is struck, it's scrub heaven! And I'm not saying that just because I was sent this. • The dessert scent - seriously sweet and fragrant from the cocoa and vanilla (and probably ylang ylang too). For the record, this cocoa scent does not smell like the cocoa butter of say, Palmer's products (which I don't fancy). It's a lot more 'prettier' and dessert-like. In between exfoliating, I would cup my hands over my nose to take in the whole scent. Life's short. It's good to stop and smell the cocoa/vanilla. • It exfoliates very well. Once you get the right paste:water ratio, you can keep exfoliating for a good few minutes before the cocoa particles finally dissolve or melt from the heat of the hands. I don't wash it off as soon as the grains are gone. Instead, I use this opportunity to give my face a good leisurely massage (upward and circular motions) with whatever that remains of the paste. • It's a very moisturising exfoliator. I mean, have you seen the oils on the list of ingredients? 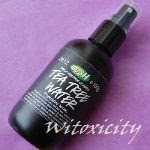 It's very nourishing, so I can imagine those with very oily skin may find it too rich. That would have been the case for me too a few years ago. 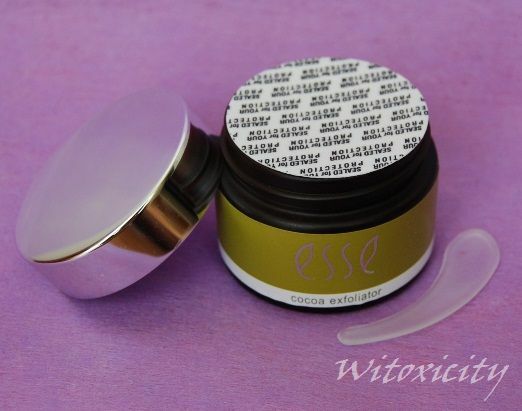 Still, Esse claims it's suitable for all skin types. For the state of my skin now, it's just perfect. After rinsing the exfoliator off with warm water, my face feels quite oily, which I didn't like initially. 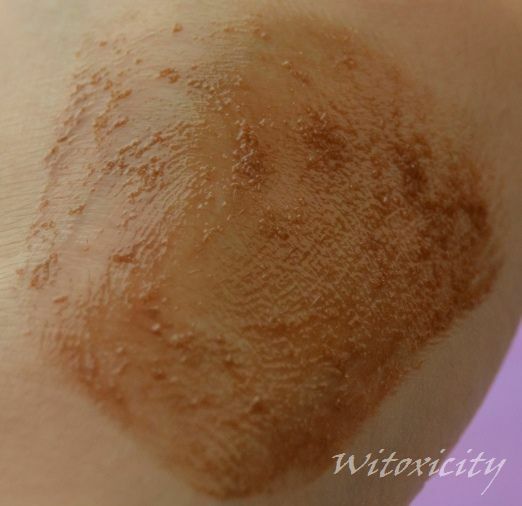 However, the real effect is felt after dabbing the face dry - the skin feels clean, polished, very soft and plumped. It certainly helps to perk up dry, dull skin. I love concluding the whole experience with a moisturiser that I think goes perfectly with this Cocoa Exfoliator - MuLondon Organic White Chocolate Truffle Moisturiser. They make the perfect combination. Although they both smell of cocoa-vanilla, the exfoliator from Esse comes across as much, much sweeter. I just need a thin layer of this particular MuLondon moisturiser and my skin is good till morning. 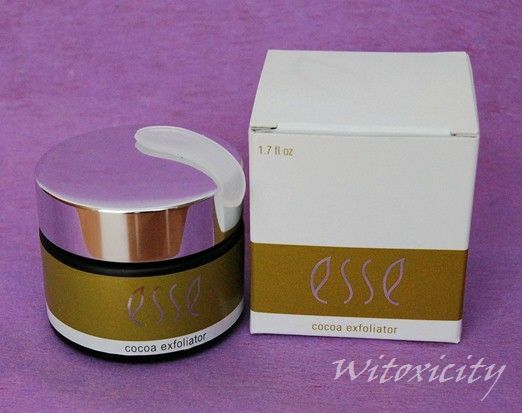 I would be lying if I said that I wasn't tempted to taste this Esse Cocoa Exfoliator. I shan't lie. I did lick it once. Sugar, cocoa and vanilla. A sweet dessert it certainly is. Just remember to use it on the skin. Esse Netherlands provides international shipping. I'd love to try this D:!!! Unfortunately, I seem to be afflicted by the 'microwave hands syndrome' so this would probably be a waste for me :(. I love the way you write your reviews. And you are really using it for a while before giving your honest opinion. Some people buy products and the same day or the next one they come with a review and rave about their purchase. I see that too often. I don't like scented anything for skincare EXCEPT when it comes to scrubs. Hmmm...I can just imagine how yummy this smells... =D Can't believe you licked it twice! I am glad this Exfoliator is to your likng my dear. Great review. Hehe...I'd lick it too..who can resist dessert?! :D. Gosh, it looks so yummy!